A warm place in the heart of Grandview. 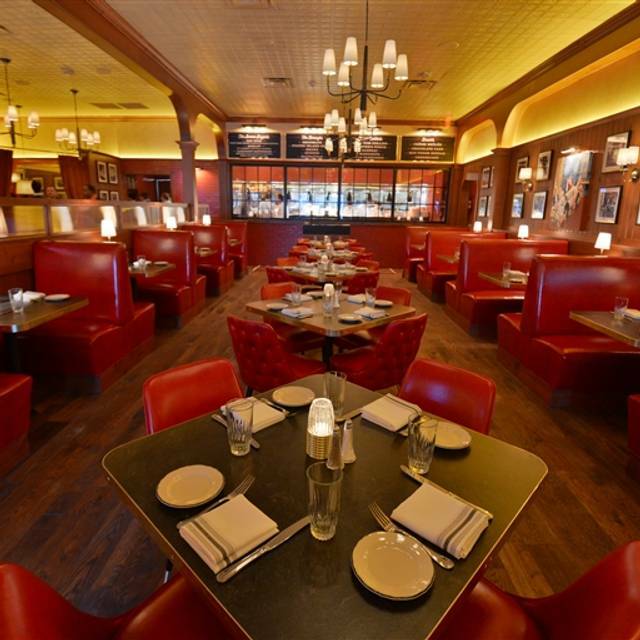 An all-occasion steak tavern that glows with sizzle and warmth. Serving fine steaks and tavern fare to family and friends in Grandview"s historic Bank Block Neighborhood. Serving Dinner Nightly. 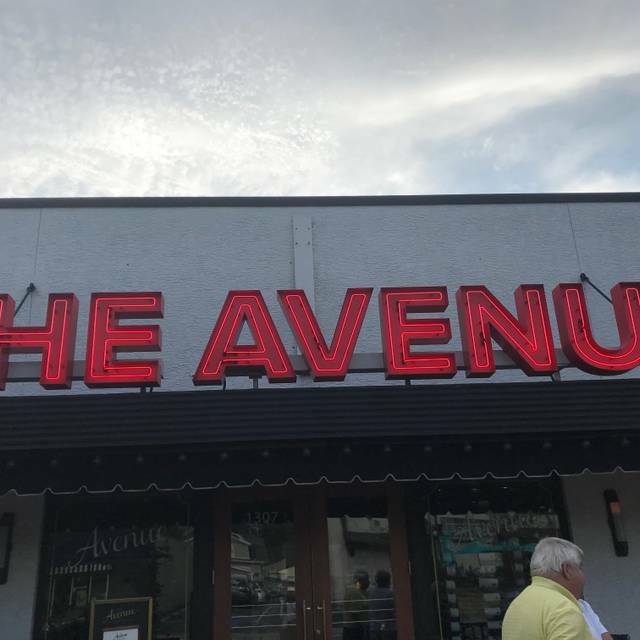 We went to The Avenue for my husband’s birthday. The food was good enough but the portions are small for the price paid. I actually appreciated the small portion sizes as we don’t need to eat more, but I thought the prices were too high for what we got both in terms of quantity and quality. We probably won’t return as we believe Columbus has better steak restaurants. Perfectly cooked steaks and great sides made a fabulous impromptu family dinner out that much better. The food and atmosphere was excellent. The service was awful; certainly not up to Cameron Mitchell restaurants standards. Having eaten at The Pearl, Guild House, and Del Mar prior to eating here, I was a little disappointed in the service and lack of attention to detail from the staff. Food was certainly up to Cameron Mitchell standards! Typical Cameron Mitchell experience. Good food, nothing extraordinary, but solid. Not M or Ocean Prime, but it does what it is supposed to do. Service was slow. Waitress was over booked on table. Drinks took exceedingly long time. Forgot wine order with dinner. Hire more staff to wait on table. Plenty of servers, but more waiters would help. Table next to us flagged down the maitre d to get long ago ordered steak sauce. Noisy as is typical for CM. Like the open windows onto Grandview Ave.
Derek our server was excellent. The food was very good. The avenue is a real neighborhood gem. Very nice wine list also. The food is always consistently great but the service is always perfect. This is an excellent place for dinner. The food is excellent. The price is a bit high. The wine pricing is also high. Server was very attentive and concerned about our satisfaction. I am allergic to onions and he was very careful to make sure I did not get any. The dish I wanted to order would have had onions in the sauce and the kitchen substituted a very plain tomato sauce - it was great. We had a very nice time and dinner was fabulous as usual. The food there was excellent as it always is. The waiter was polite and non-intrusive. This is a great place if you have the money to spend as it is expensive. Everything was delicious and our waiter was very attentive and pleasant. Our group had an amazing time!!! The restaurant was very accommodating to food restrictions and bringing in a birthday cake for our friend!!! They also assisted in surprising our friend by being open to how we wanted to surprise her. The food was spectacular and the service was top notch!!! 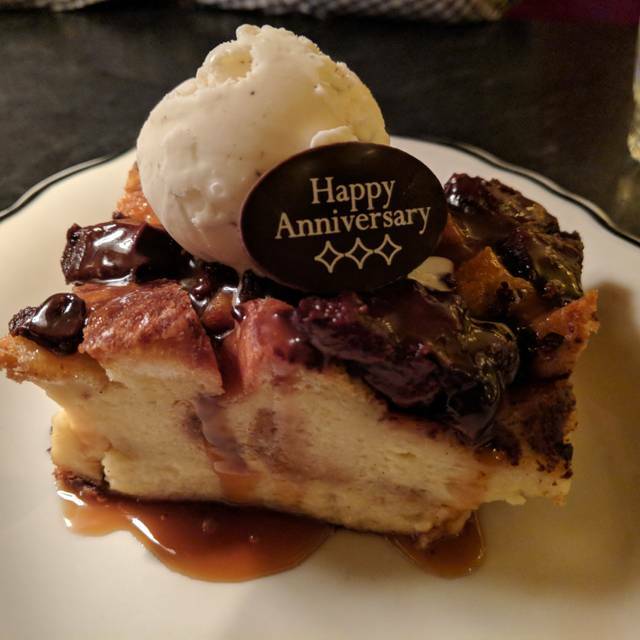 I can’t wait to return back, and continue to explore all of Cameron Mitchell’s restaurants. Thank you!! Food and service was excellent. Went there for wife's birthday, had a great time until a party of eight moms and their 10 year old sons were seated in our vicinity. Moms at one table with cocktails and kids at other table with cherry sodas, knives and forks. Noise rose to a level that we decided to rush the end of our meal. All in all a great experience until then. My advice would have been to require they have a separate room if they were going to hold a kid's birthday party of that size. The moms did try to quiet them but just the overall idea was not an intelligent one for a Saturday night at 6:00 PM. 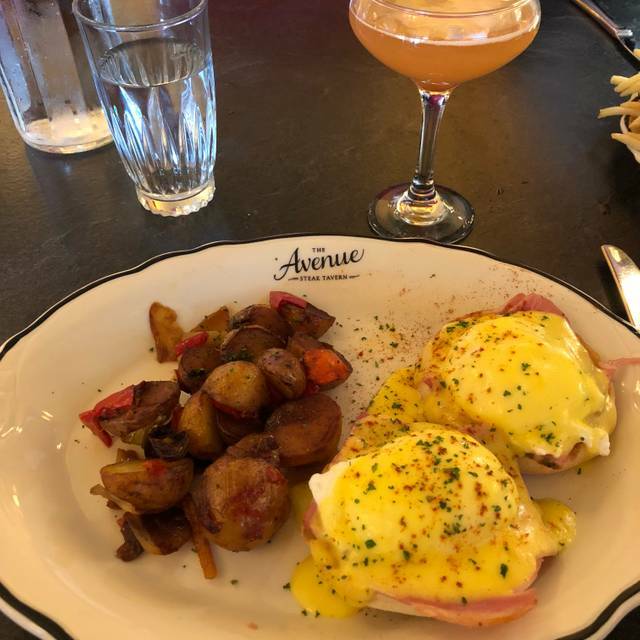 The Avenue Grandview is our new favorite! Our filets were excellent and cooked perfectly. Our tavern salads were amazingly fresh and perfectly dressed. The side of corn is the best side you'll ever experience. Our server Tammy was extremely courteous and nice, and very help with our wine selection. Tammy's service was outstanding. With her help we chose the Coppola Director's Cut Cab, which I believe was a 2015 and it was perfect. 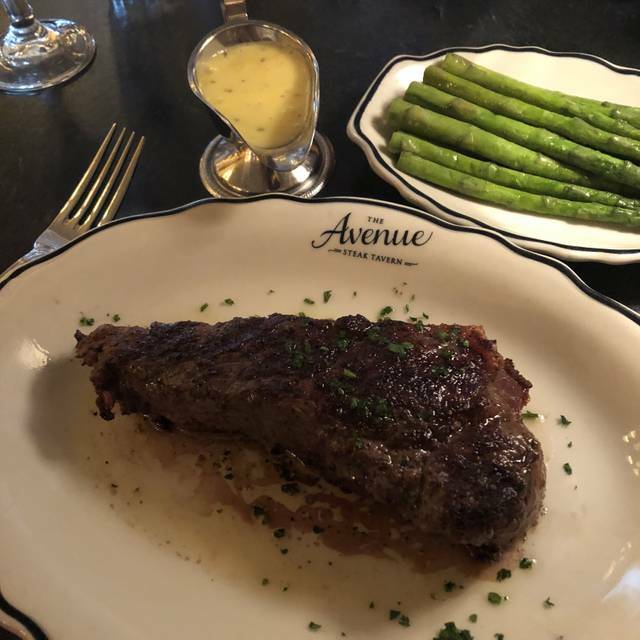 Over all our dinner experience was superior and we would highly recommend The Avenue to our friends and neighbors. Our compliments to the Chef and thanks to all, including Mr. Cameron Mitchell, for a wonderful dinner! Great atmosphere and exceptional food. Definitely recommend to anyone travelling to Columbus to stop at the Avenue. We love Cameron Mitchell restaurants. Our dinner could have been quite nice except for our waiter. He was more interested in telling my wife an me what he likes on the menu rather than asking us what we were interested in. He clearly forget our shrimp appetizer and then threw the kitchen under the bus. He seems more interested in listening to his deep voice than our wishes. We quickly tired of him continually trying to push the most expensive wines and entrees. The wait staff was wonderful! I was dining with my elderly parents and the staff was patient and very accommodating. We never had to look for our waitress as she was very attentive. The food was delicious. The atmosphere was perfect. I wouldn't change a thing. We will be returning. Second time there and everything was great once again. It was my sons’ first time as well as my Mom’s and they were blown away with the service and quality of the food. I would definitely recommend this restaurant to my family and friends. Love the Avenue! We were celebrating our 45th anniversary!!! It is such a special treat!!! We love this place. We’ve never had a bad meal and the service is impeccable, shout out to Derek our Server! It’s our favorite Cameron Mitchell restaurant! You can cut the steaks with a butter knife! I recommend the filet with the peppercorn sauce, the mashed potatoes for a side , are creamy and delicious. For dessert, the creme brûlée is to die for! Great place for dinner or a special occasion! Loved everything about our dinner at The Avenue. The French Onion soup is second to none! Had a great experience! The service was amazing, friendly and informative. The ambiance was perfect. It’s like you’re in a 1930’s style restaurant with a modern twist. Enjoyed the music they had playing, it added to the overall experience. The menu was not overwhelming and there were still plenty of great choices. 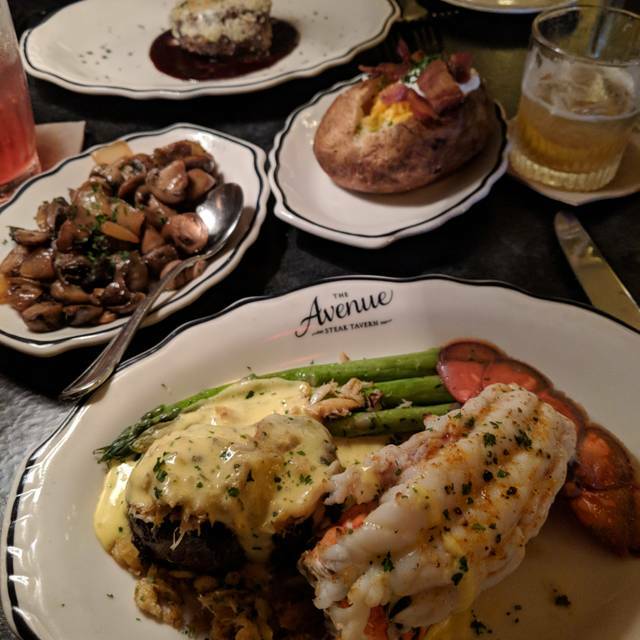 This was my first time at The Avenue for a birthday celebration with a good friend. After being seated, the waitress was very good at recommending a very good wine. She was also very good about returning every two or three minutes to push us along to order. My friend and I are probably not the best patrons at restaurants since we like to take our time, enjoy the meal and each other's company. In other words, our table isn't going to turn in 30 minutes. Once the waitress got the hint, things went well and the service was good. 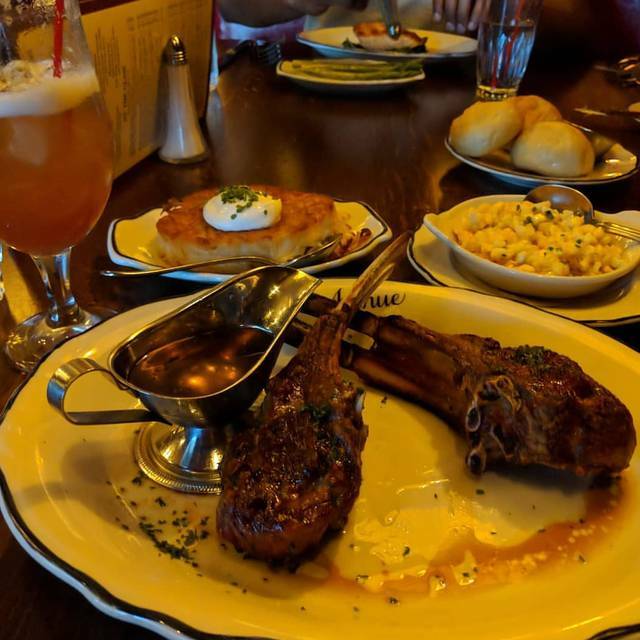 The food was excellent and overall the meal was a positive experience. I had the sirloin and my friend had the sea bass, both cooked to perfection with the portions being the right size. We had the dinner salad included with the entree and I substituted my salad for onion soup. We had a bottle of Bordeaux with the meal. 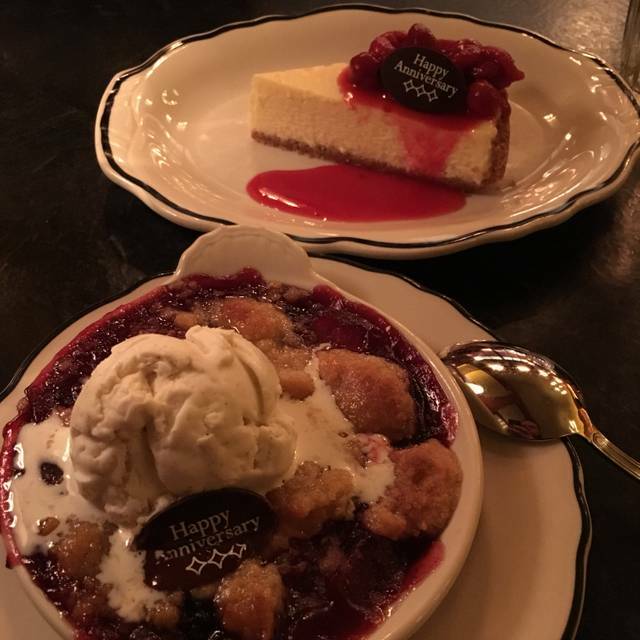 The waitress heard us talking about it being my friends birthday and brought an amazing cobbler for dessert on the house. The ambiance was about the same as every other steak house I've been to with the same gaudy naugahyde booths and chairs and bland decor. It really wasn't impressive. For the money spent, $196 with tip, I would say it is overpriced. My friend and I agreed, that while the food was excellent, given the overall experience it was not worth the price. Not sure I would enthusiastically recommend The Avenue, but I would recommend the food and caution on the price. One of my favorite spots, food, service and atmosphere is always great! Great happy hour and exceptional service from our waiter! Fantastic experience and dinner was delicious. Our server provided great recommendations and was attentive to all of our needs. we had a party of six including 2 young adults and a child. Valet service was good. We waited much longer than I expected for a table even though we had reservations. The waiter was good. The food was far below expectations especially for the price. Two meats at our table were very under cooked. The mashed potatoes had no flavor and I would almost bet were instant potatoes. For three people to pay $200, I would expect more than the equivalent of a bad night at the local Roadhouse. Our server John was very attentive doing the whole meal. Checked back on a regular basis keep us up to date on how our dinner was progressing. The assistant manager came to our table to check how everything was and went over the dessert offerings and thanked us for coming in to dine. Everything was first class. My wife and I absolutely loved this place. The staff was amazing. Food couldn't be any better! And the atmosphere was perfect for celebrating our anniversary! We will def be back! Perfect for a special occasion.All the staff were extremely attentive and professional. And the meal was delicious. We had a wonderful dinner at The Avenue. It was an unusually warm day in Ohio in March and they opened the large window near the bar. 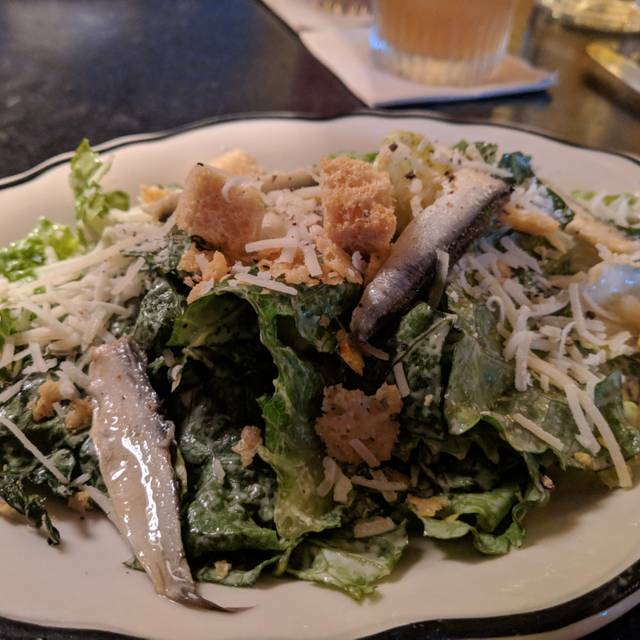 We started with Brooklyn’s and then the delicious Wedge of Iceberg salad. I’d been craving a cheese burger all day so I went for that... it was the perfect choice for me. My husband had the Sautéed Branzino and loved it. Ambiance reminds you of an old steak house and the play list complimented that feeling. As my boys point out each time we go, there is nothing not to like here. It wasn’t too crowded. Our server did an excellent job taking care of us. The food perfection. And 2 free desserts for my twins’ birthday! Thank you, Avenue!